Showing 1 - 20 of 1,308 results. 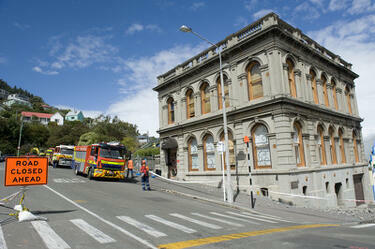 The former Lyttelton Fire Station on the corner of Sumner Road and Oxford Street. Broken stonework from the top of the building lies on the footpath where it fell. 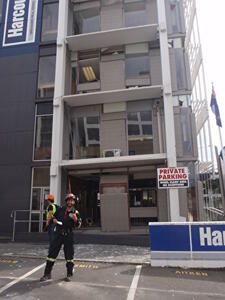 Members of the New Zealand Fire Service are evaluating the building. 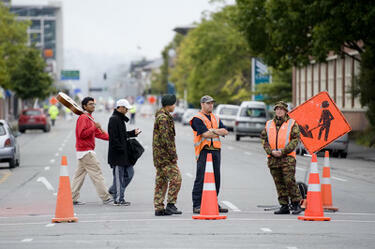 NZ Army personnel guarding a cordon on Madras Street near Moorhouse Avenue after the 22 February 2011 earthquake. In the distance, smoke from the CTV Building can be seen. 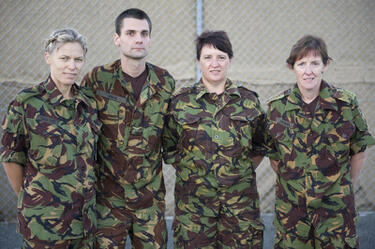 The New Zealand Army Dental Team. Photo inside of Level 2 of Pegasus Building taken by Angela Dean, 9 June 2011. 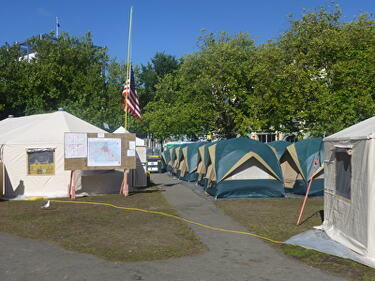 A photograph of a group of tents set up in Latimer Square next to the USAID tent. The tents were used as temporary accommodation for emergency management personnel after the 22 February 2011 earthquake. 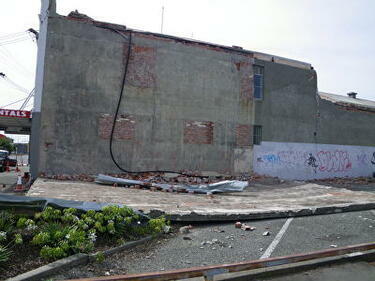 A photograph of a wall of a building on St Asaph Street which has collapsed onto the car park next door. Rubble and bricks from the top of the wall underneath have fallen on top. 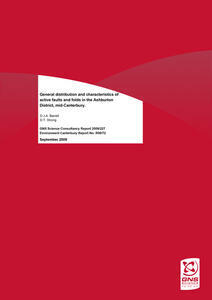 This report provides information on the locations and character of active geological faults and folds in Ashburton District. The faults are mapped at a district scale and the information is intended to highlight areas where there is a risk of permanent fault movement at the ground surface, and where more detailed investigations should be done if development is proposed in that area (depending on the potential activity of the fault and the type of development proposed). See Object Overview for background and usage information. 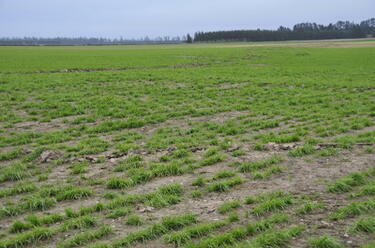 Most of the faults and folds identified at the ground surface in Ashburton District are in rural or very sparsely populated areas. In addition, most of the faults have relatively long recurrence intervals (long-term average time between fault movements) in the order of several thousand years. Following the Ministry for the Environment Active Fault Guidelines, normal residential development would be allowed on or near faults with recurrence intervals this long. 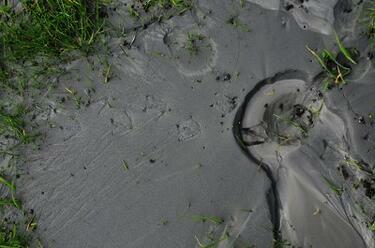 There are no recommendations associated with this report. The information in the report will be reviewed as required, after the remaining district reports are completed in the region. 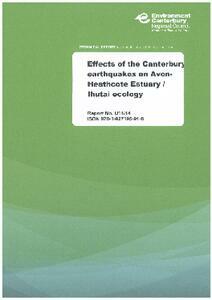 A report covering the effects of the Canterbury earthquakes upon Avon-Heathcote Estuary Ihutai ecology. 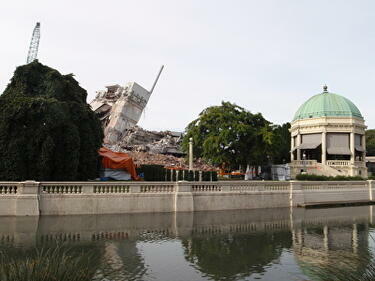 A photograph of the collapsed PGC Building, taken from Oxford Terrace across the Avon River. In the foreground is the Edmonds Band Rotunda. 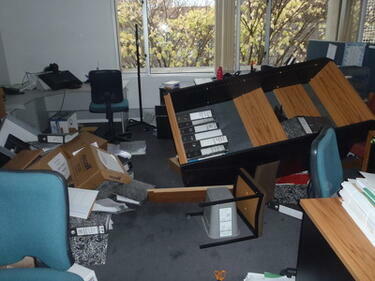 Photo of earthquake damage in Christchurch taken by Paul Gofton, 6 September 2010. A photograph of members of the Wellington Emergency Management Office walking down Lichfield Street towards the intersection of Madras Street. Buildings on either side of the team have been damaged by the earthquake and there are piles of rubble on the street in front of them. Members of the New Zealand Air Force unloading a generator from a NZ C130 Hercules at the Christchurch Air Movements Terminal. 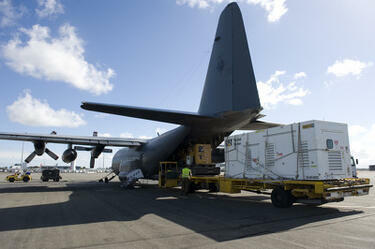 This was the first generators to arrive from Australia to support Operation Christchurch Quake. 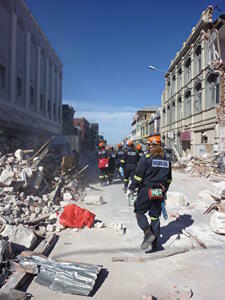 A photograph of members of the Wellington Emergency Management Office Emergency Response Team standing outside the earthquake-damaged Grenadier House on Madras Street. 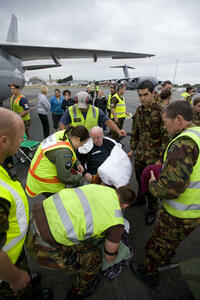 Medics from the New Zealand Army assisting a rest home resident. 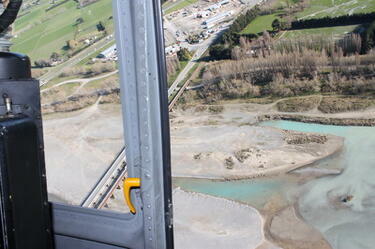 The resident was being transferred onto a Boeing 757 and evacuated from Christchurch after the 22 February 2011 earthquake. 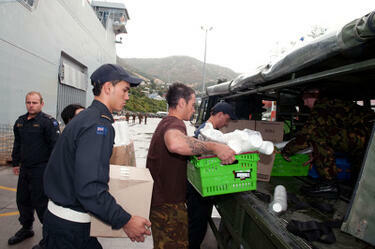 Members of the Army and the Navy loading crates of bread and plastic cups onto a truck in Lyttelton Harbour. 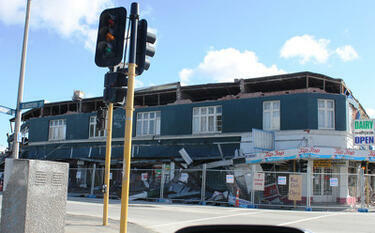 A photograph of a block of damaged shops on the corner of Gloucester Street and Woodham Road. The top of the façade has crumbled. The bricks have fallen to the ground and taken the awnings with them. Wire fencing has been placed around the buildings as a cordon. Signs on the fences indicated that the T Bakery and Red Chilli are open. 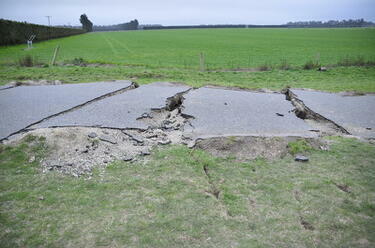 Photo of damage in Canterbury, taken by John Weeber. 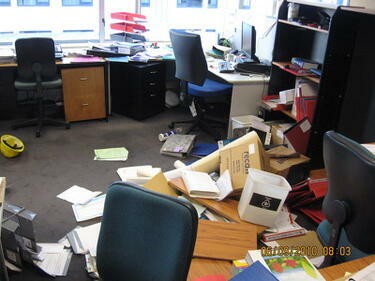 Photo of damage to offices on Pegasus 3rd Floor, taken by Compliance Enforcement.